I’m not a fan of cold weather. So, the rapidly approaching winter months of the Midwest USA does nothing for me. 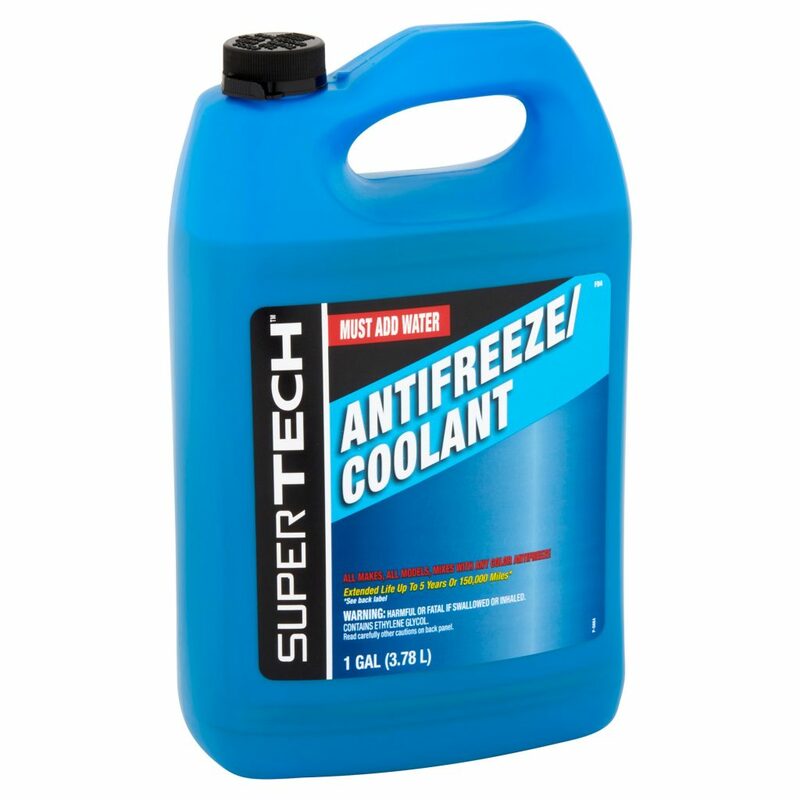 With the colder weather comes the increased use of ethylene glycol, a common type of antifreeze. Pets find ethylene glycol antifreeze to be quite tasty. Unfortunately, it’s exceedingly toxic, able to cause death very quickly. This week I’m sharing some important information about this relatively common intoxication. Please read it carefully and share with other concerned pet parents. Ethylene Glycol – What is it? These metabolites readily cause cellular destruction(especially the proximal tubular cells of the kidneys), deposition of calcium oxalate crystals in various tissues (particularly the kidneys), and brain swelling (called cerebral edema). The minimum lethal dose in dogs is 4.4-6.6mL/kg and 1.4 mL/kg in dogs and cats, respectively. Ethylene Glycol – What does intoxication look like? Phase I – this is the first 12 hours after ingestion and is associated with both gastrointestinal and central nervous system signs, like vomiting, unsteadiness while walking (called ataxia), weakness, depression, and muscle tremors. Phase II – this is 12-24 hours after ingestion and is associated with cardiopulmonary effects. The clinical signs associated with Phase I worsen. Additionally, patients may develop elevated heart rates, rapid breathing, and difficulty breathing. Phase III – this is 24 or more hours after ingestion and is associated with acute kidney injury. 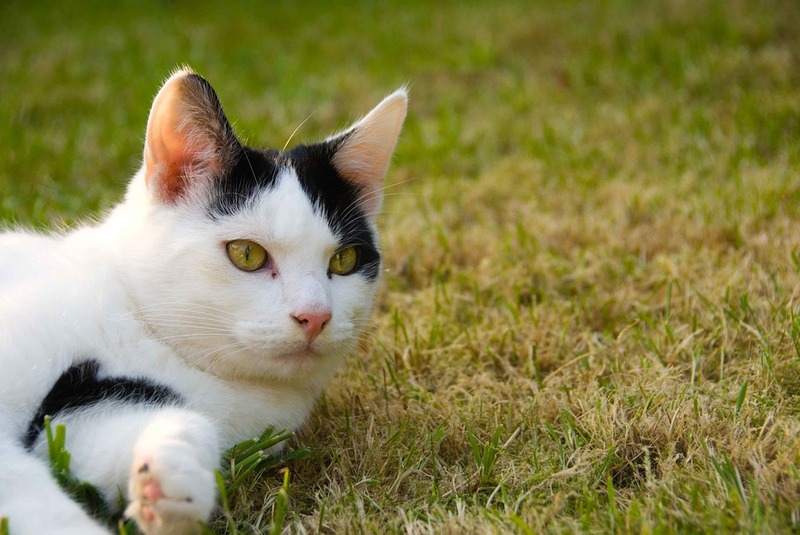 Pets develop an inability to produce urine and typically die within 72 hours of ingestion. Ethylene Glycol – How is intoxication diagnosed? The diagnosis of ethylene glycol intoxication can be relatively straightforward. If ingestion has been observed, a veterinary team can begin therapies immediately. However, if ingestion is only suspected, then a veterinarian can perform a non-invasive blood test in hospital to detect ethylene glycol in the blood. Many primary care doctors will not have this test, and thus, families are often referred to the nearest emergency hospital for testing and care. This test isn’t perfect, meaning both false positive and false negative results are possible. 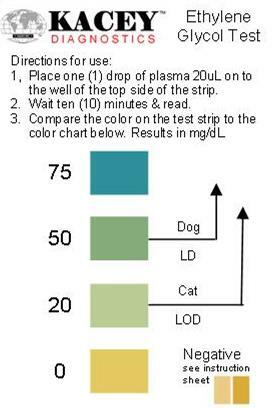 This test should be performed as early as 30 minutes post ingestion and up to 12 hours after ingestion. Ethylene glycol levels peak in the blood 1-6 hours post-ingestion. By 24 hours after ingestion, very little ethylene glycol remains in the blood, yet severe damage to various organs has already occurred. Ethylene Glycol – How is intoxication treated? The goal of therapy is to slow down the metabolism of ethylene glycol to its more toxic compounds. If ingestion occurs within one hour of presentation to a veterinarian, the doctor will induce vomiting. They will also likely give a medication called activated charcoal by mouth in an attempt to reduce absorption of the drug into the blood. Drugs may also be given to inhibit the activity of an enzyme called alcohol dehydrogenase. This enzyme is responsible for metabolizing ethylene glycol into the more toxic compound called glycoaldehyde. Both fomepizole and ethanol antagonize the effects of the ethylene glycol to slow the breakdown of ethylene glycol. Each drug must be administered intravenously multiple times over 24-36 hours, and fomepizole is not effective in cats. 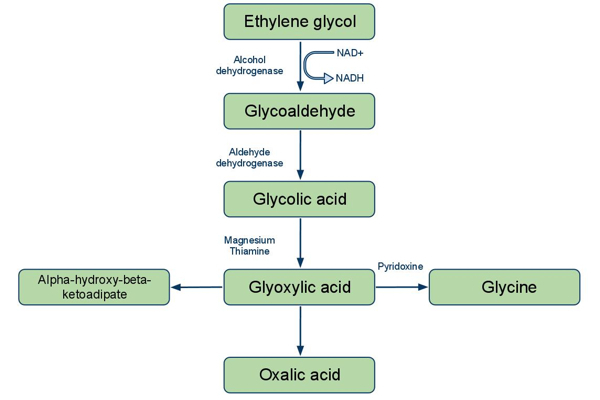 Patients intoxication with ethylene glycol also require aggressive supportive care, including intravenous fluid therapy. Both peritoneal and hemodialysis have been used successfully in intoxicated patients, but the availability of these interventions is limited to referral and critical care centers. The latter is very effective in removing ethylene glycol from systemic circulation very rapidly. The prognosis is generally good when aggressive interventions are initiated within eight hours of ingestion but is poor to grave with prolonged untreated exposure. Ethylene glycol intoxication is a relatively common intoxication in dogs and cats. Most commonly found in certain antifreezes and windshield de-icing solutions, our pets find these products quite tasty due to their sweetness. The toxin affects the gastrointestinal tract, central nervous system, heart and lungs, and kidneys. Early intervention is associated with a good prognosis, but delayed treatment carries a poor to grave prognosis. To speak with a toxicology expert, please contact the ASPCA Animal Poison Control Center.